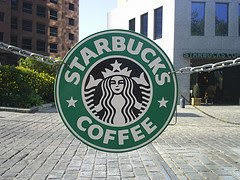 Starbucks Store Closing List - Is Your Favorite Store Closing? Thanks goes out to SingleMa for posting about this on her blog. I figured I would share it here too. The Huffington Post has the full list of the 600 Starbucks stores being closed broken down by state. Is your favorite Starbucks location on the list? I'd be happy if they all closed. I hate Starbucks.